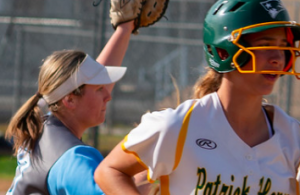 SANTEE (3-30-2019) – Grossmont High is used to fast starts, and again did so with a first-inning run. 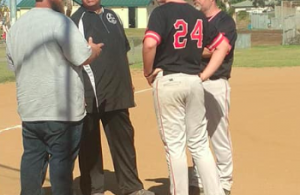 However, the Foothillers are not used to opponents answering immediately, but Santana did. 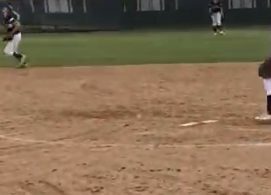 The Sultans pushed four runs across in the home-half of the inning thanks to a series of six singles, going on to a 6-4 win in Grossmont Hills League action on Friday (Mar. 29). Santana (6-4 overall, 2-0 GHL) is now tied for first place with No. 3-ranked Granite Hills. Lakaila Aquiningoc-David knocked in the game-tying run, then she and Hailey Justice cane home on a 2-run, two-out base hit by Shelby Holmquist. The final run saw Emmelee Leggett also register an RBI single. In the 5th, Madison Mendez homered to push the margin to 5-1. Her two-out drive went to center field for her third home run of the season. Grossmont rallied to within 5-3 on a 2-run single by Jordan Brown in the 6th. However, Santana again countered quickly when Leggett came home on a Marilyn Downing double. The Foothillers (9-5 overall, 1-1 GHL) received two hits each from Jessica Medlin, Katilina Contreras and Natie Emery. GRANITE HILLS 12, VALHALLA 3: At Leto Field in Rancho San Diego, Eagles third baseman Chloe Knepp, the No. 9 hitter, blasted a grand slam, while Catie Dobbs struck out 10 batters in a romp over their neighborhood rivals in GHL action on Friday (Mar. 30). Knepp went deep to left in the 5th following a series of singles by Dobbs, Morgan Kelly and Brooke Bertussi to load the bases to open the 5th inning. Meanwhile, Haley Johnson added three RBI for Granite Hills (10-3 overall, 2-0 GHL) to close the month with six consecutive victories. Valhalla (5-12, 0-2 GHL) received a 2-run homer from Samantha Green when the Norsemen scored all of their runs in the 6th. EL CAPITAN 21, EL CAJON VALLEY 0: At ECVHS, Vaqueros pitchers Kylie Mead and Katy Hicks combined for 10 strikeouts n a no-hit victory over the host Braves. Both registered Ks at a 2-per-inning rate, as Mead got six in three frames; Hicks had 4 in two. Mead also collected five RBI on 3-for-4 hitting with a pair of doubles, scoring three times. Meanwhile, Hicks scored four times after a single, two walks and getting hit by a pitch. Madison Rosalis, the leadoff batter for the Vaqueros, was the only other player with multiple hits, going 2-for-3 and scoring each time. It was the eighth-straight victory for El Capitan. MT. CARMEL 6, WEST HILLS 2: At Rancho Penasquitos, the host Sundevils tallied three times in the 5th inning to break a 2-2 deadlock, handing the Wolf Pack their fifth straight setback in Friday’s (Mar. 29) non-league affair. Ally Troche slugged a run-scoring triple to take the lead, then Mackenzie Cunningham followed with a 2-run homer in the decisive inning. Both blows went to left field. The Wolf Pack received the first of three hits by Sabrina Brown in the 1st, followed by a Star Gaylord single, but failed to score. But in the 2nd, two walks, a pair of errors and an RBI single by Brown gave the visitors a brief 2-1 lead. TORREY PINES 14, HELIX 6 – Torrey Pines (8-5) won the Falcon Fiesta game despite a home run from Helix’s Nicole Hernandez. Helix scored four runs in the third inning as Avery Perez had an RBI, in addition to an RBI from Hernandez. Helix (6-6) got a walk by Casey Castro with the bases loaded for a run. Zoe Kuhlken added a run-scoring single.